Welcome to Today's Best Western Northwest Corpus Christi Inn & Suites! We are conveniently located in the northwest part of Corpus Christi with easy access to IH-69/Highway 77, IH-37, Highway 44, Joe Fulton Corridor, and the Port of Corpus Christi. The hotel offers complimentary hot breakfast buffet daily and happy hour (Monday through Thursday). There is a wide variety of restaurants located nearby to satisfy your taste buds. Extended stay accommodations are available! We offer spacious rooms with available kitchenettes, living room with sleeper sofa and two 43-inch TVs. Extended stay rates are available for our guests staying with us for seven nights or longer. We are nearby lots of local industries. 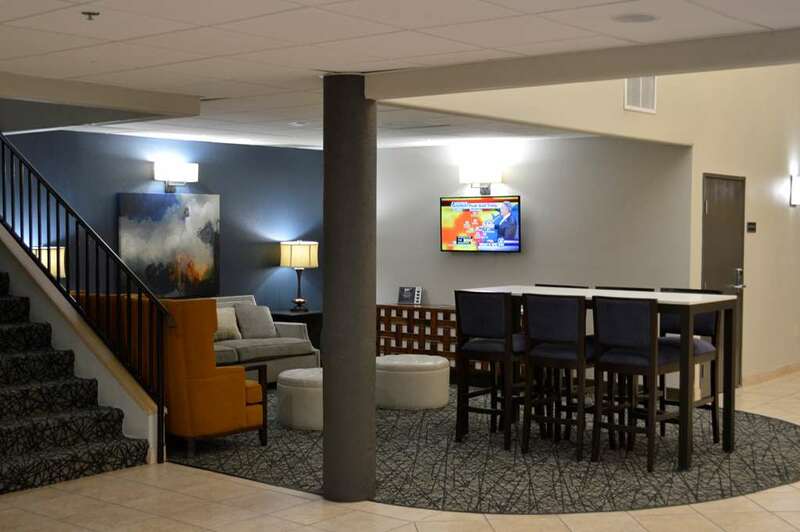 Whether you're coming from out of town or staying locally for a while on business, we're glad to welcome all guests! Shopping will be a breeze with the variety of stores at The Outlets at Corpus Christi Bay. The Richard M. Borchard Regional Fairgrounds is nearby as is the Hazel Bazemore Park. From: San Antonio. Take Interstate Highway 37 South to Exit US-77S/IH-69S, Exit CR52, make U-turn. Stay on service road, the Best Western Northwest Corpus Christi Inn & Suites will be on the right side. From: Corpus Christi International Airport. Get on TX 44 East and take ramp to TX 358 North, IH37 North, US-77S/IH-69S, Exit CR52. Make a U-turn. Stay on service road, the Best Western Northwest Corpus Christi Inn & Suites will be on the right side. From: The south. US-77N/IH-69N, exit at Northwest Boulevard. Stay on service road, the Best Western Northwest Corpus Christi Inn & Suites will be on the right side.